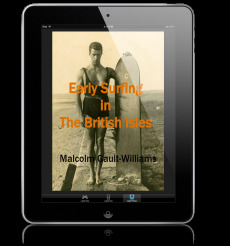 and/or education in regards to genre of surf culture. perfect wave at San Onofre to dramatic wipeouts at Oahu's famed North Shore. 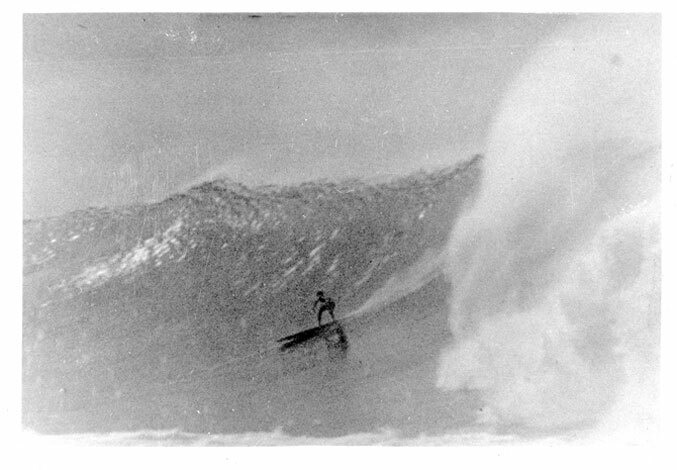 endorsements, when surfing was at its bronzed best. we will ship your order as soon as they become available. Hi there....my name is Jim Lyman. I had a shop in Redondo Beach from 1959 til the spring of 1962 when it was destroyed by fire. Recently Corky Carrol wrote an article in the Org. Cty. Register about a Doc. Ball Surfing book that I luckily recovered after 40 years. It went missng from my shop at 700 3/4 Meyer Lane, RB, in 1961. It showed up on E bay in 2002. A collector I knew spotted it. He had a list that Doc Ball made that listed each buyer. The book was #446 and the Ebay pic showed the number. A little digging around and I located the seller. I got my book back after 40 years. Since most of my early collectabe stuff was destroyed in the shop fire...its a real treasure and reminder of those days. I anyone is interested, I still have a few original business cards that are in pristine condition. You can E mail me at jim_lyman@hotmail.com. Any of you oltimers who came to my shop in those days...let me know. Wuld be cool to chat. I had one of your old surfboards. I bought it at the Oceanside Swap Meet for $1.50. (It needed some repair work.) but boy, it was a great noserider. The tail was fairly thick, and the nose was sightly rounded on the bottom. Round rails -- typical mid-1960's style. What a great board -- a 9' bundle of joy. Unfortunately, I loaned it to a neighbor who got it stolen at San Elijo Park. I guess the good things in life never last too long. But thanks for making that board.